AbsolutePDF Spool lets your legacy applications generate PDF files without the need for other expensive tools. No Adobe Acrobat required!Convert ASCII spool files to PDF with a click ! 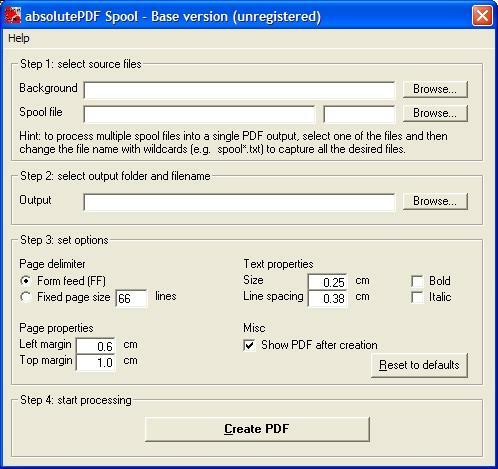 Just extract your documents as an ASCII file and feed it to absolutePDF-Spool to obtain a perfect PDF file in seconds.With Professional and Deluxe version you can: get spool files from host using FTP send generated PDF by email automate the process by scheduling the execution and also process files generated with AS400.